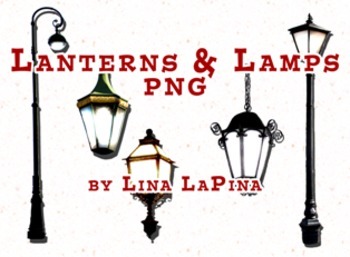 5 images of lanterns and street lights. Clear-cut .png files. Original photos taken by me in St. Petersburg, Russia.